This week DC are continuing with their run of Rebirth titles and at the moment Superman looks to be making the most headlines. This week we see Action Comics #959 where we see Lex Luthor and Superman team up to fight Doomsday and on the other side of the globe we see New Superman #1 which introduced us to the new Chinese Superman. 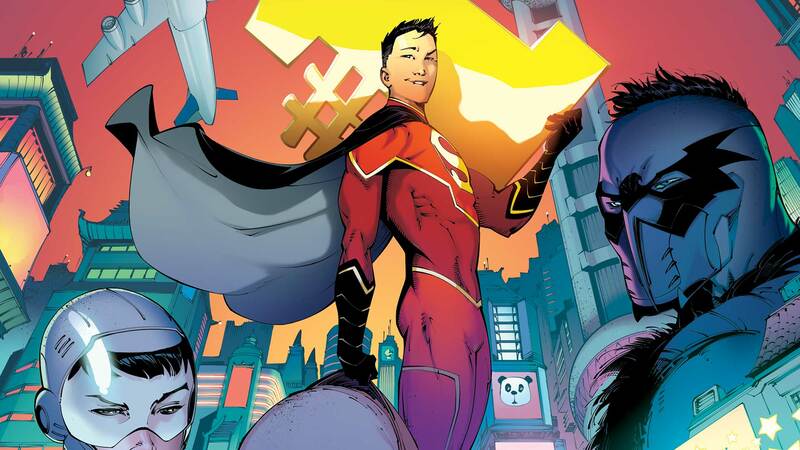 New Superman #1 – “MADE IN CHINA” Chapter One: An impulsive act of heroism thrusts an arrogant young man into the limelight of Shanghai as China begins to form its own Justice League of powerful heroes. Rising from the ashes of The Final Days of Superman, award-winning writer Gene Luen Yang and on-the-rise art star Viktor Bogdanovic introduce readers to Kong Kenan—the New Super-Man! When the world needed a new hero, China made him!